I'm going to Manila (in the Philippines, not northern NSW). It's for work but I'm very (very) excited. I haven't been overseas for ... a long time. I'm also very nervous. I have to change planes in Sydney, and, well, I haven't been overseas for a long time. I decided I needed a travel wallet. 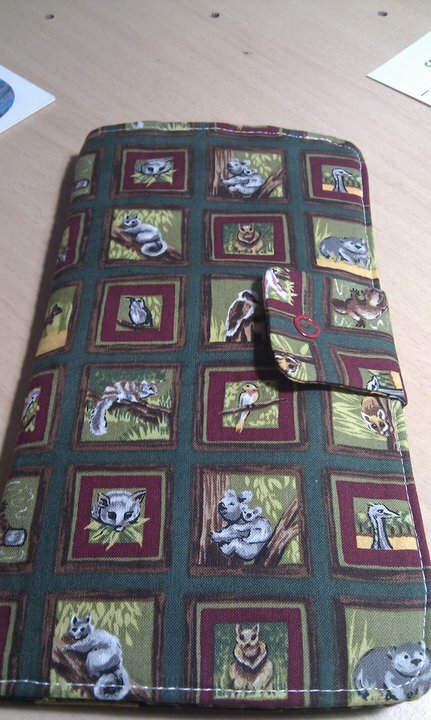 One of those lovely fancy things that holds your passport and tickets and rah-rah. I found a wonderful pattern. I will say the pattern needed a little altering. 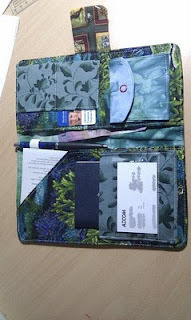 It may be my sewing isn't as accurate and neat as it could be, or it could be that passports and credit cards are slightly different sizes in different parts of the world. 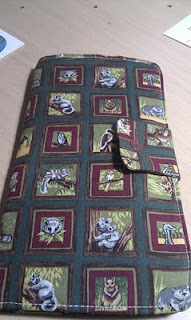 If you do decided to make it, measure the two rectangles required before you sew them (they have no pattern piece). 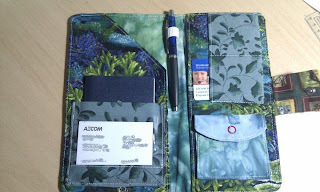 The pattern also talks about a contrasting strip on the front, but I didn't quite get how that worked, so left it out. The pattern says to use six different fabrics - each bit is different. I combined several into one fabric. Really, like most thing, you can do whatever you like. I'm thinking of making a raw edge leather one for The Man.